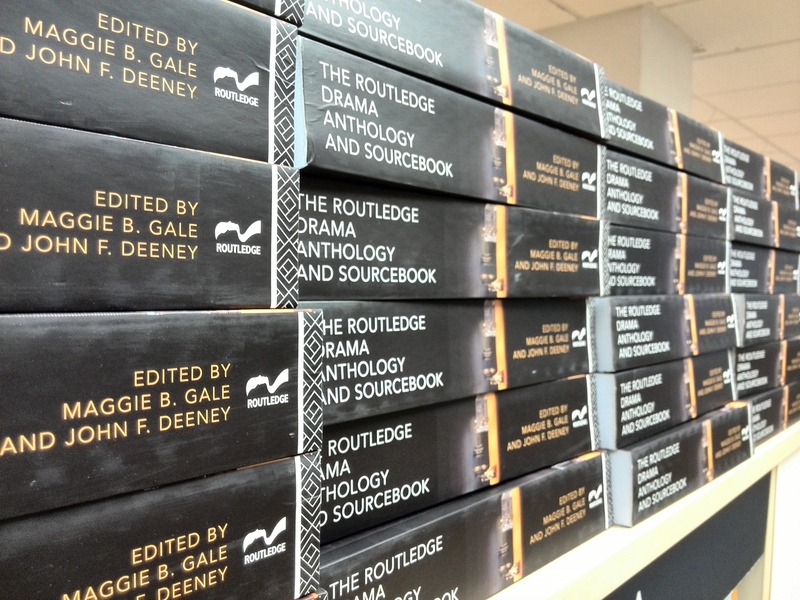 September 2013 – Reader! Read Faster! – Look up graduate career websites. A systematic search can be a great way of finding jobs. – Identify what people do with your degree. Be specific. – Ask for help. Rely on family, friends and social networks. Whetted your appetite? 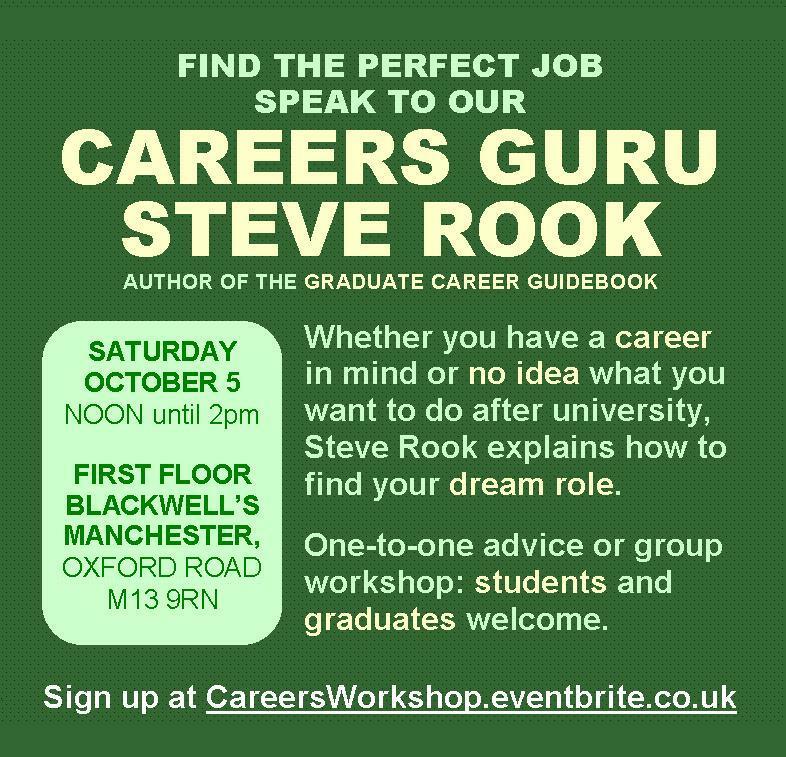 For more no-nonsense advice, come to Steve’s careers workshop this Saturday at noon. It’s free! Register your interest here or just click the pic. 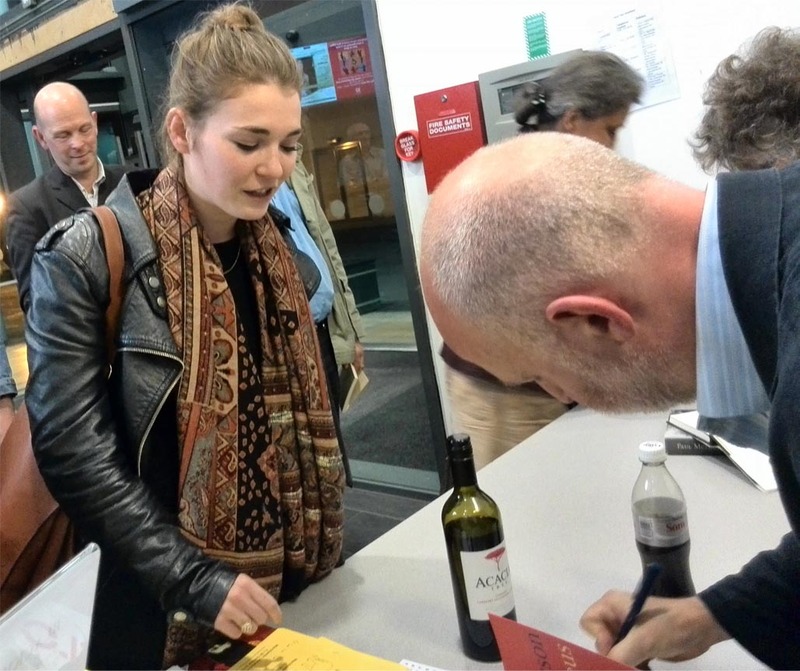 Bookshops across the country are holding parties to celebrate the Books Are My Bag campaign, which encourages readers to show their love of books by supporting their local bookshop. 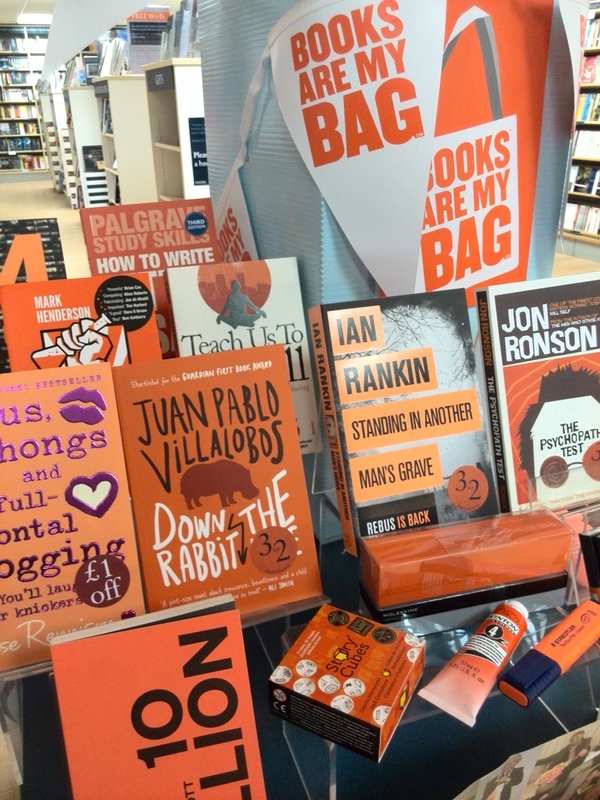 While we’ve not been able to put on a bash due to our preparations for freshers week, we did create this spectacularly orange display at the front of our shop. If it’s orange, it went on the display! We even have a couple of balloons outside. I know. Wild, right? We’ve been giving out free tote bags all day, which has been a huge hit with customers. And we knew the day was worth it when a lovely customer came into the shop to buy a book because they heard we were backing the campaign. The #booksaremybag campaign has started off a little creepy! As seen on one of the campaign bookmarks. Yeah. I know, right? 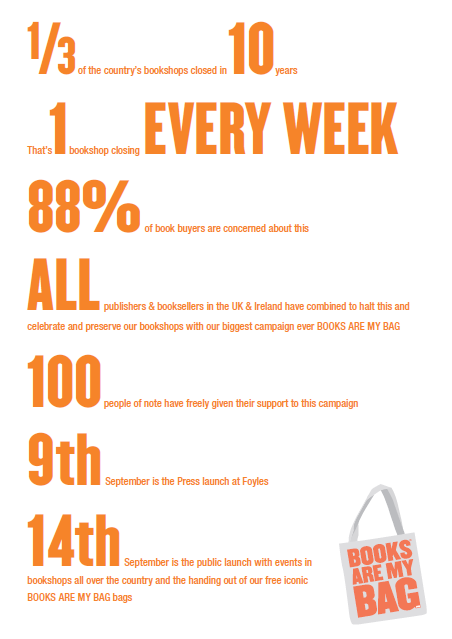 Still, we’re very much behind the Books Are My Bag campaign (although sadly we have no time to run any events due to freshers week preparation). 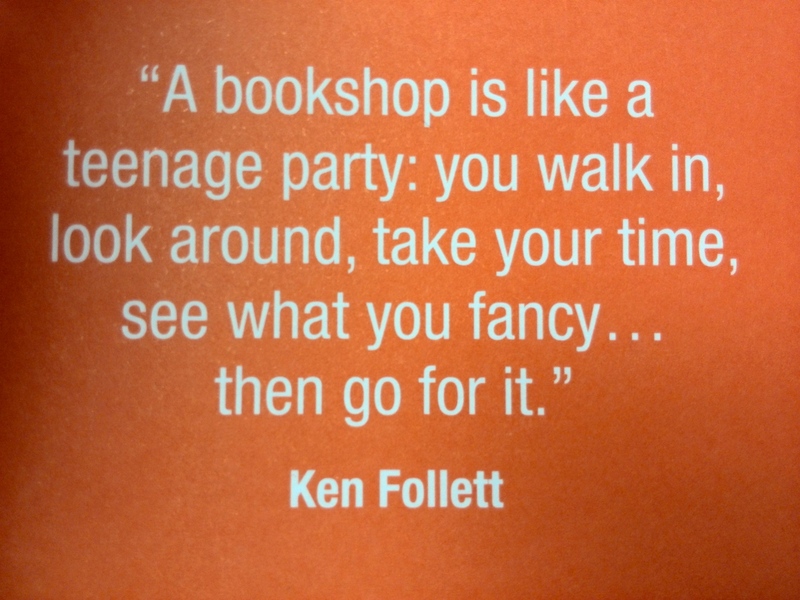 As LittleBrown just posted on their Twitter, it time to love yer bookshop!